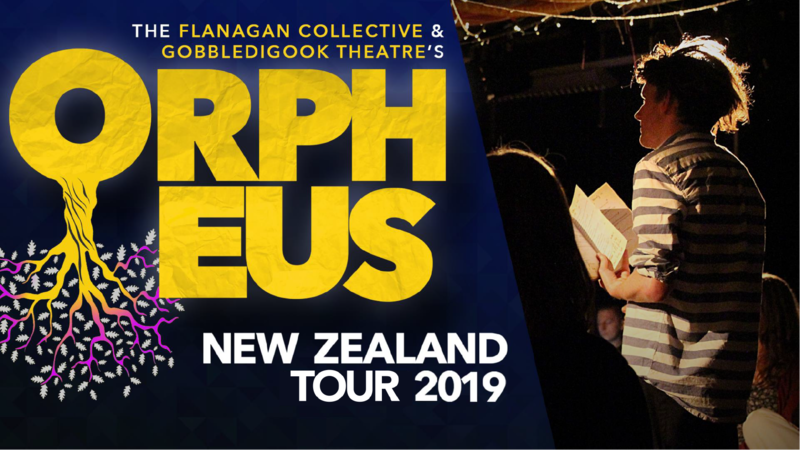 The internationally award-winning show, ORPHEUS, is coming all the way from York, England to Rotorua on Saturday 13th April 2019 for their nationwide tour! We are really excited to be bringing two of the UK’s most innovative theatre-makers to NZ on a nationwide tour, starting with both NZ and Dunedin Fringes and then spanning out to some truly stunning spaces and places. Alexander Wright is the Director/Creator of London’s longest-running immersive theatre experience (The Great Gatsby) and Phil Grainger is a talented musician who also creates large scale outdoor theatrical adventures for young audiences and their families. Together, they have created ORPHEUS; an internationally award-winning show wound together from hair-raising spoken word and soaring soul music. It’s a modern retelling of the ancient myth, transporting us through dive bars, back streets and late night karaoke. It’s a show about falling in love, about seismic shifts in your everyday life, and about how far we’d want to go to save those we hold so near and dear. It’s a 5,000 year old story, but told for us, here, now. Performed by a storyteller and a musician, the tale is woven together from a guitar, a book, and the audience. The show premiered in the garden of a dutch cheese shop in Cromarty. Since then it’s played in houses, pubs, halls, shops, tunnels, libraries, foyers, bars, empty lofts and – very occasionally – a theatre. ORPHEUS won Best Theatre (weekly) award at the Adelaide Fringe and the Summerhall Award at VAULT Festival. We are now excited to bring ORPHEUS to a space at Blue Baths as part of the Rotorua, North Island leg of the tour!